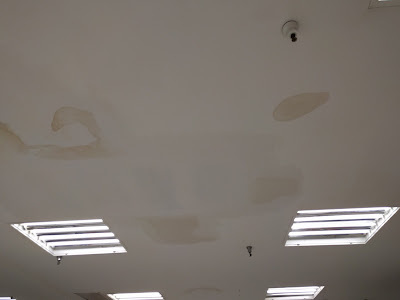 Attention Kmart Shoppers! 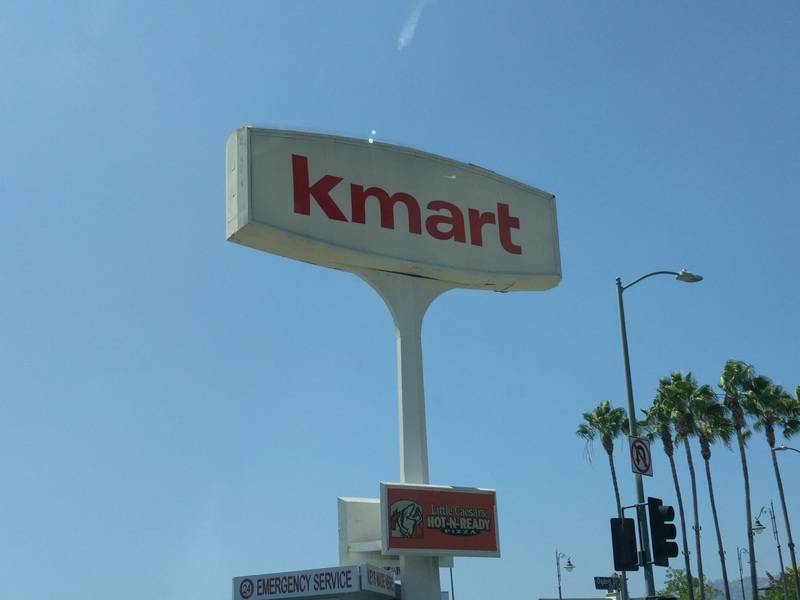 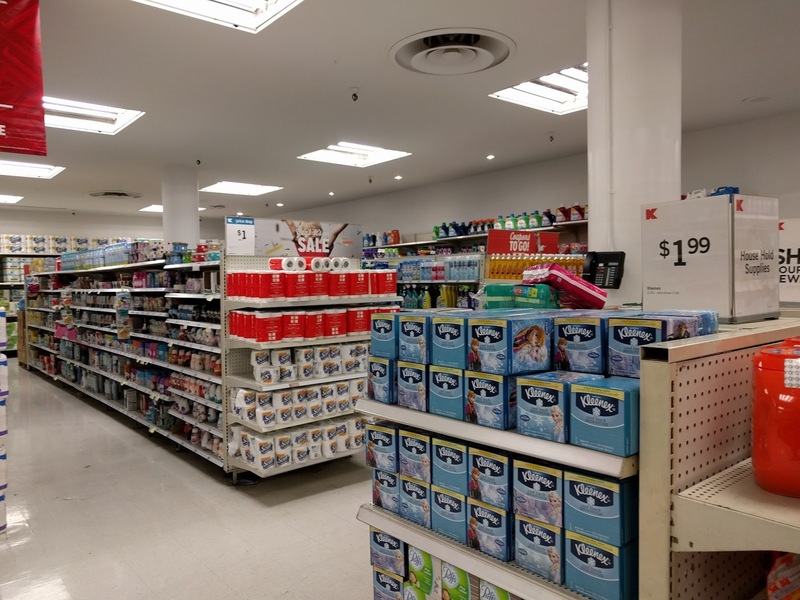 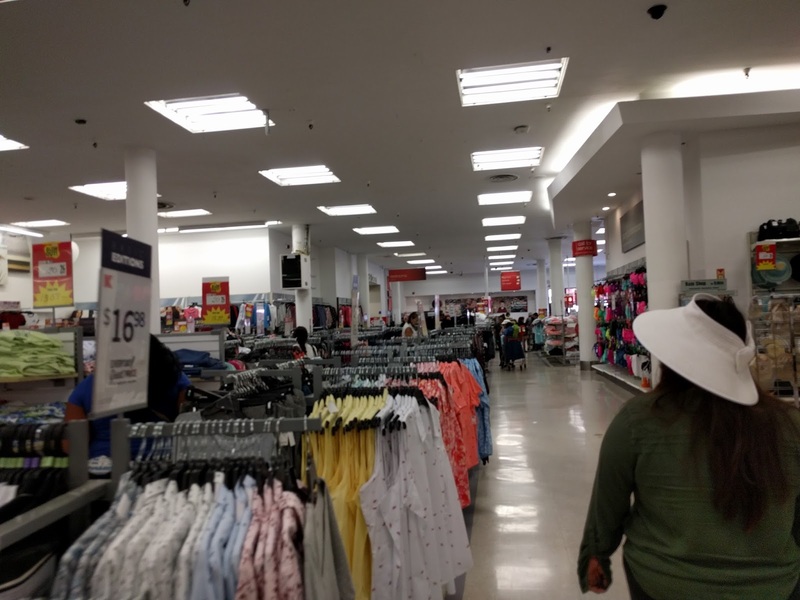 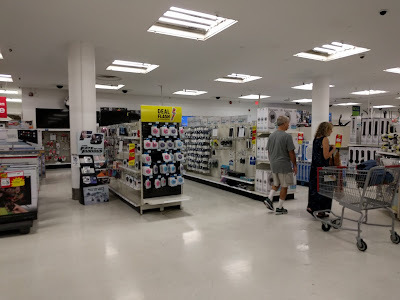 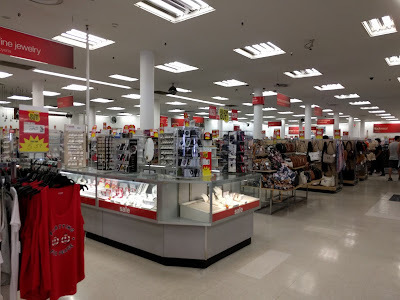 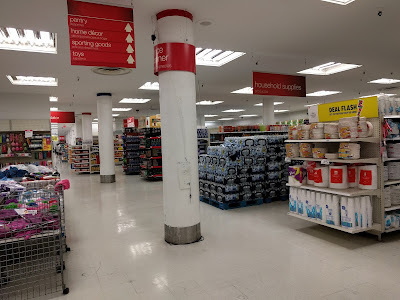 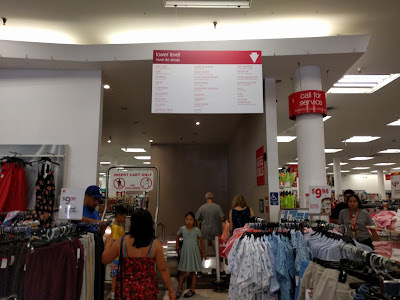 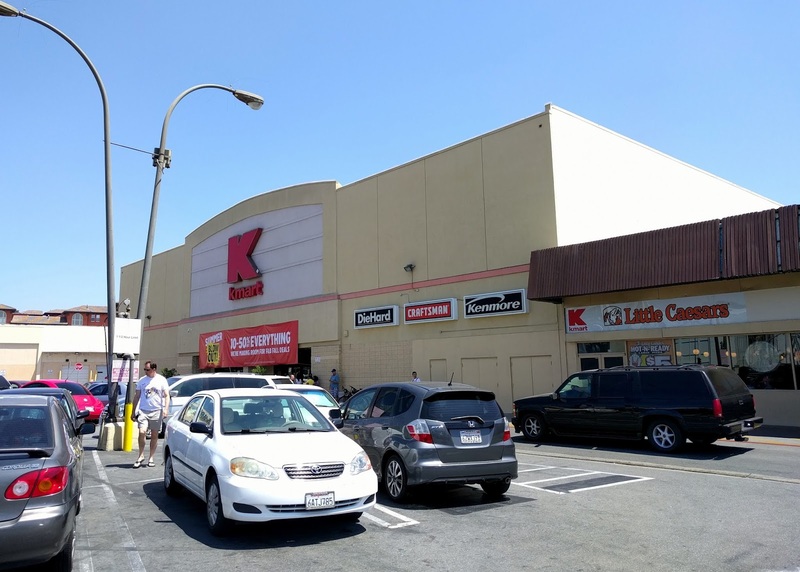 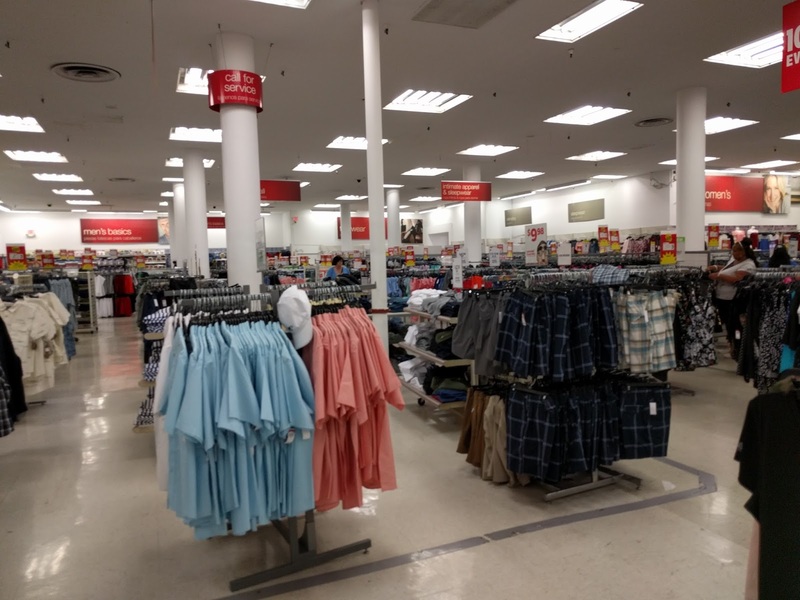 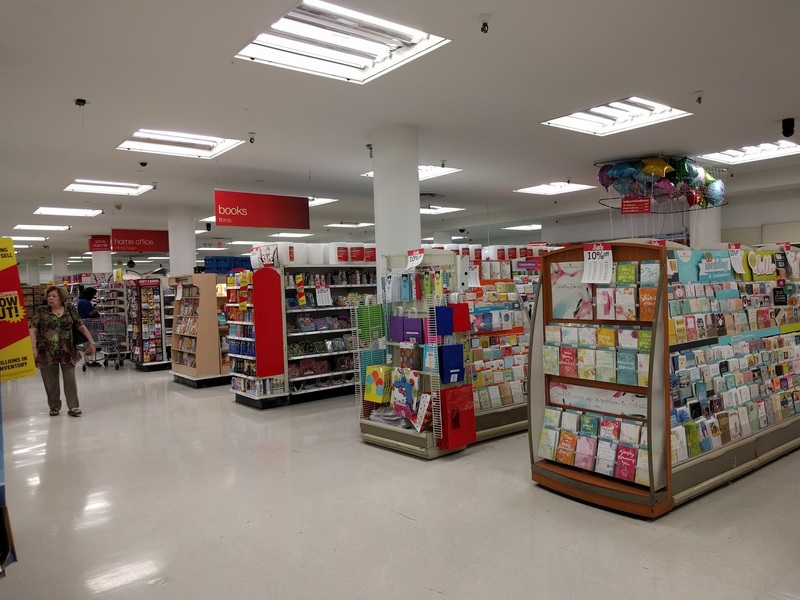 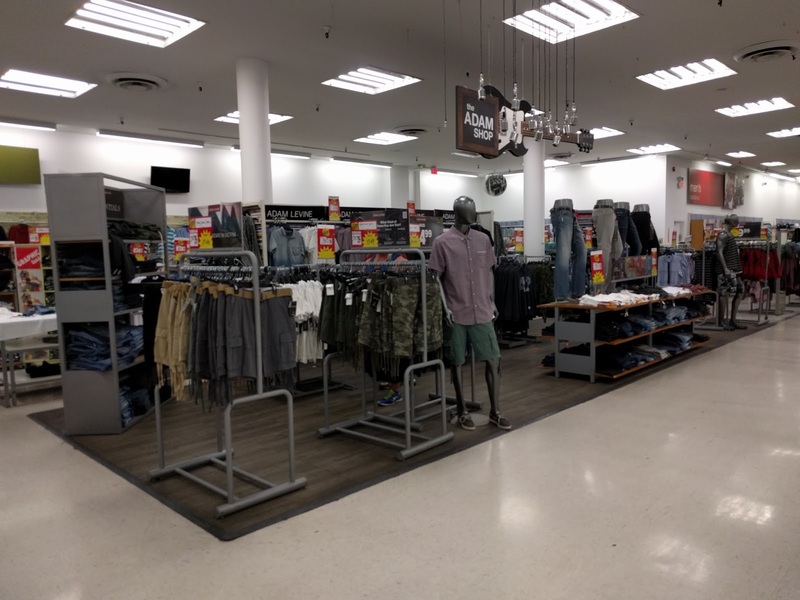 Today we are continuing our series of posts on California locations with a two level Kmart store in the Los Angeles area. 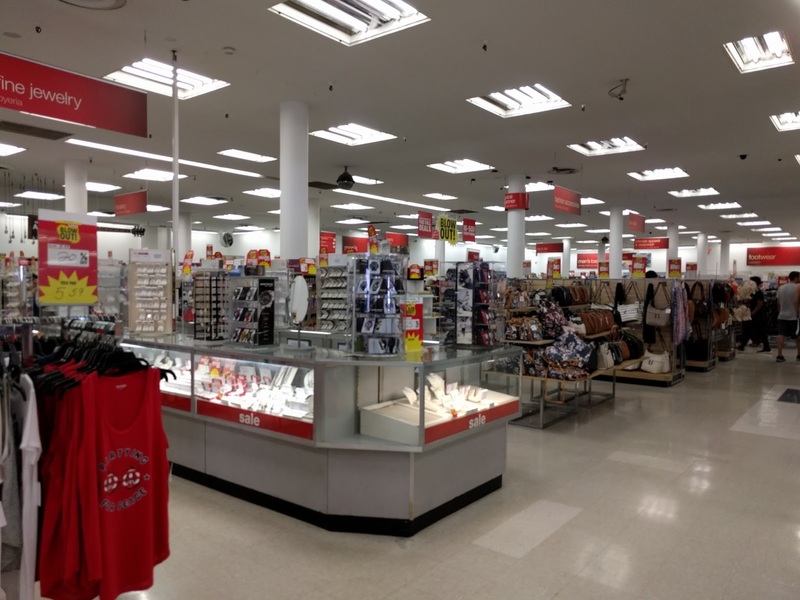 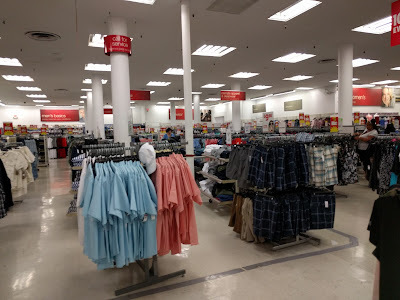 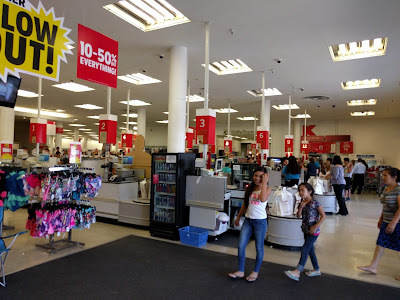 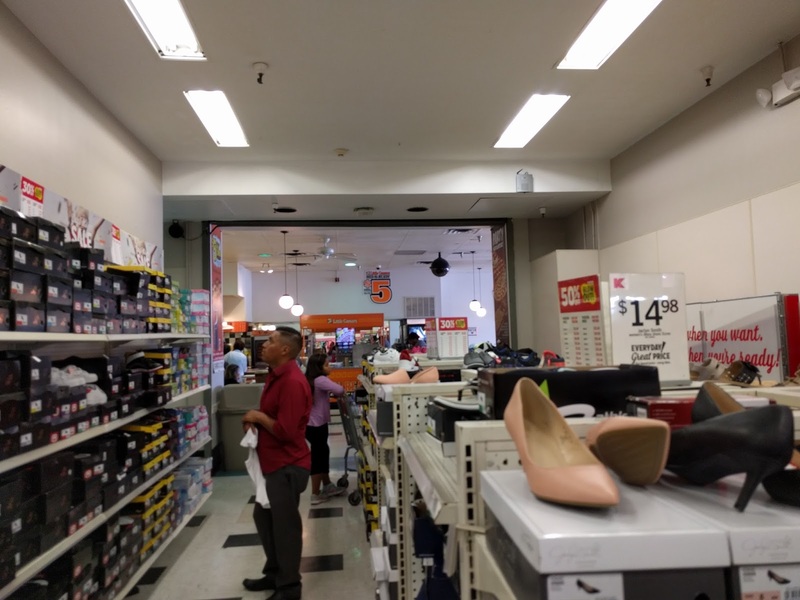 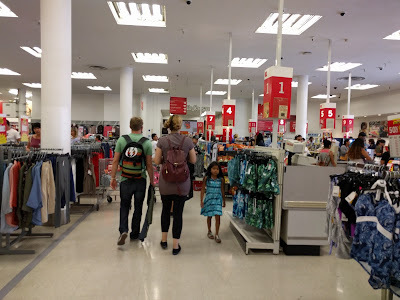 This Kmart store is an 135,000 square foot, two floor store located on the busy West 3rd Street in Los Angeles. 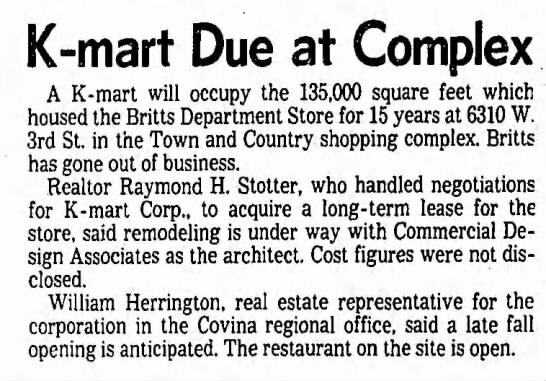 It was originally built as a Britt's Department Store in 1963, which was a subsidiary of the JJ Newberry company. 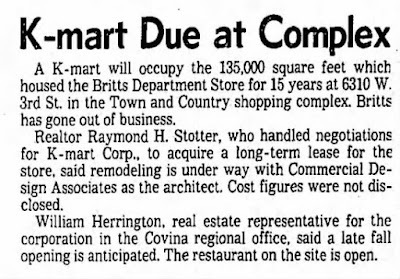 After the JJ Newberry company decided to phase out and close their Britt's locations, Kmart stepped in and did an extensive remodel of the store and opened for business on October 5, 1978. One thing to note is that according to news articles when the building was a Britt's, it was a three level store but now in it's current form it's a two level store. 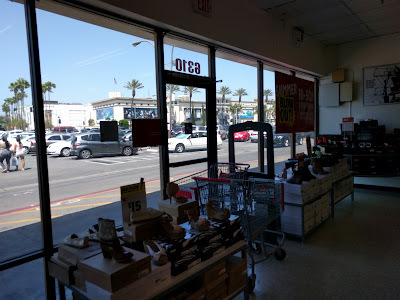 When you view the side of the store in Google street view, you can see the windows that are located on third floor level. 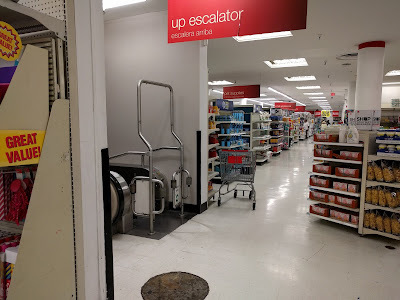 The third level is completely closed off since it became a Kmart. It is unknown what the third level is used for but it could be a storage and stock area now or just empty. 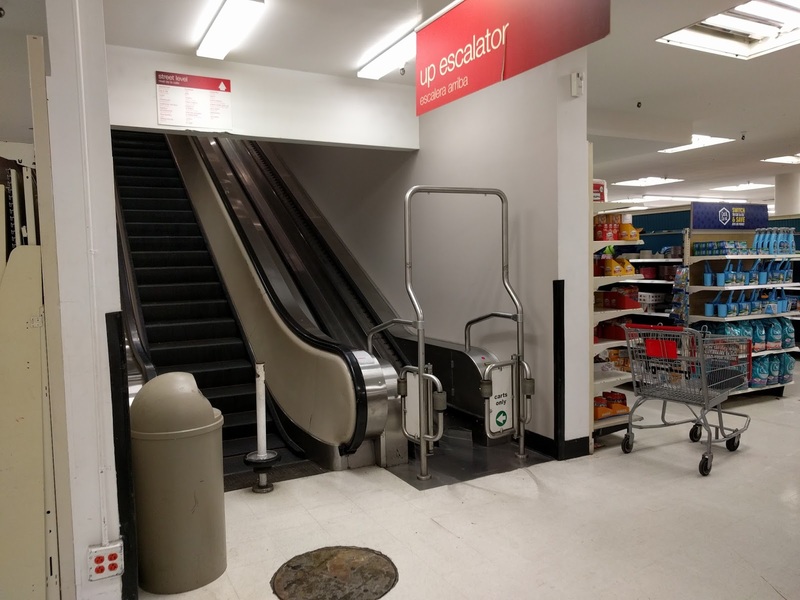 I am unsure how this third level is accessed as there is no escalator that leads up to it. 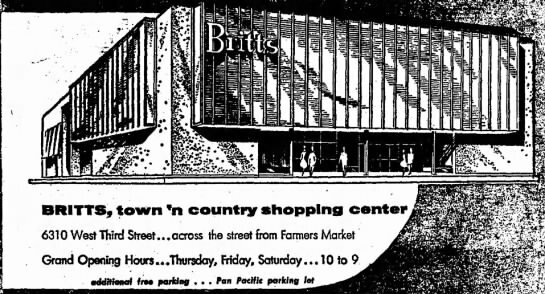 Ad for the opening of Britt's Department store in 1963. 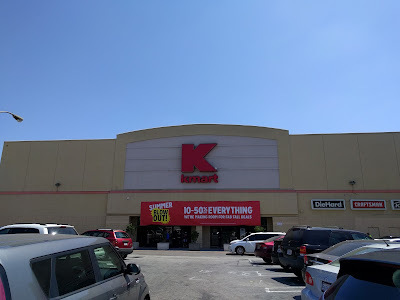 News article of Kmart coming to the old Britt's location. 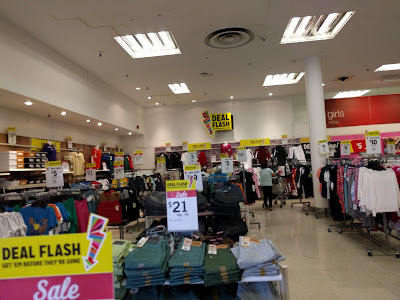 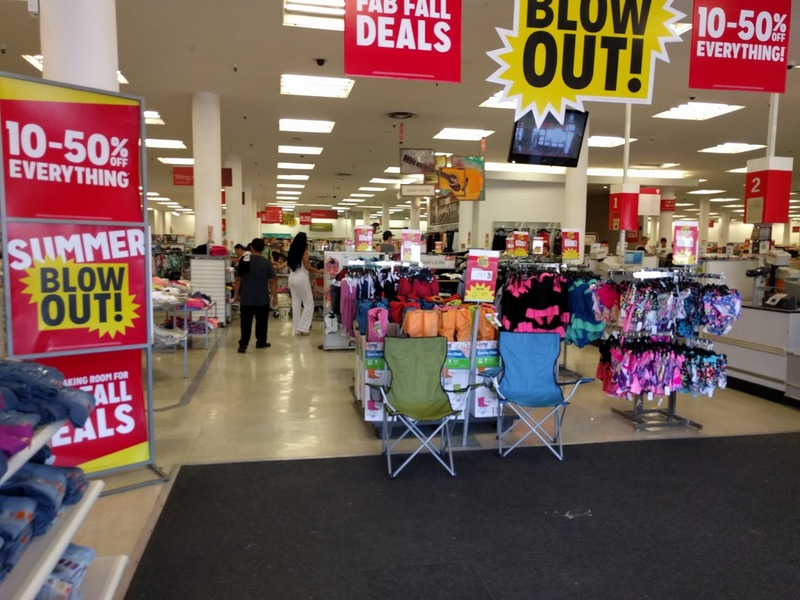 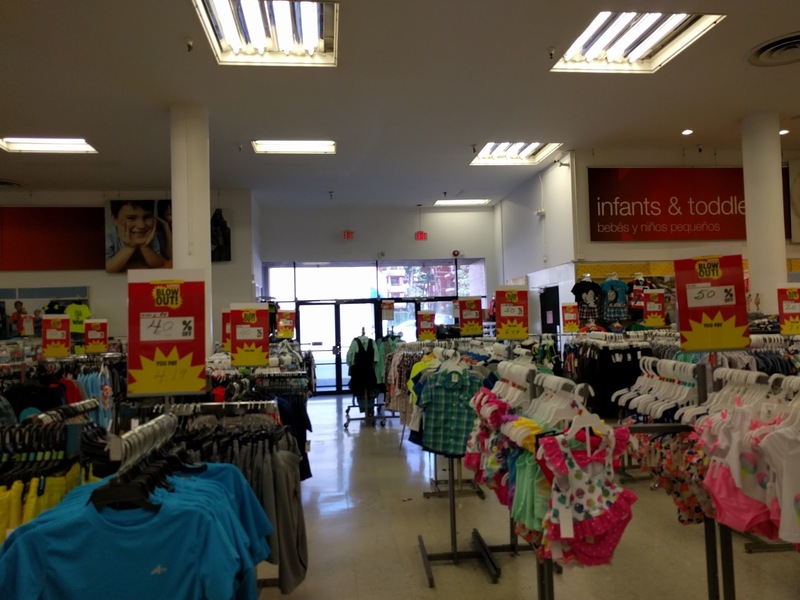 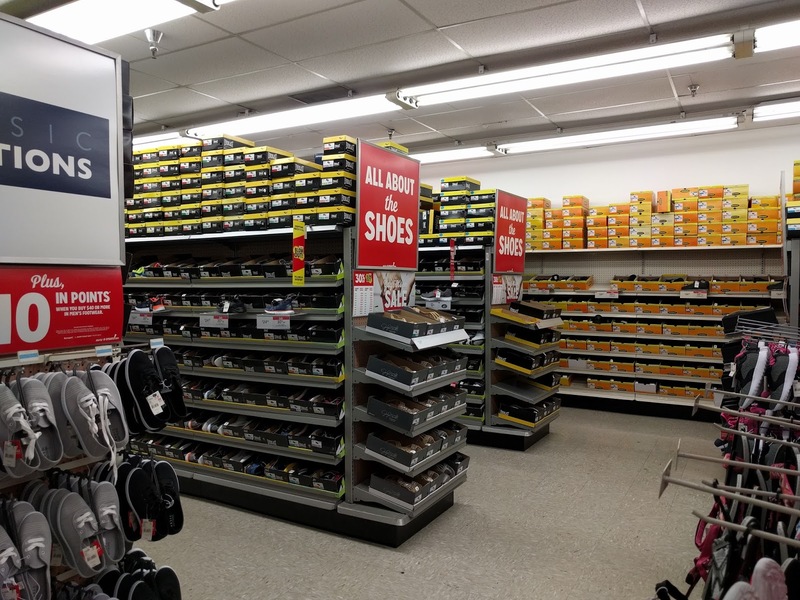 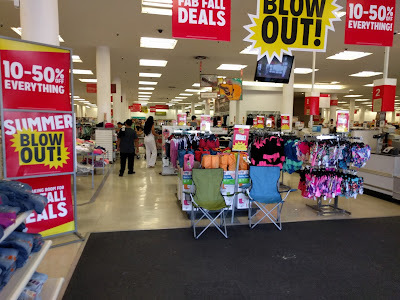 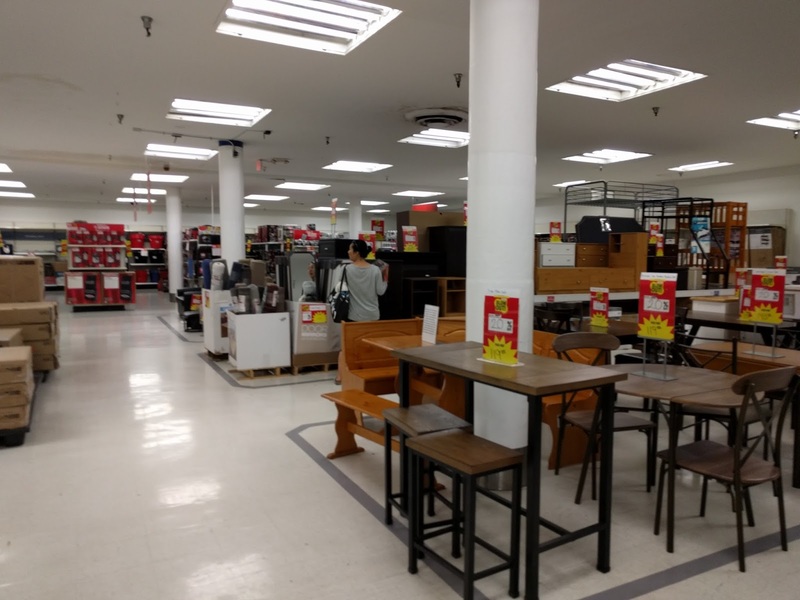 We visited this store in July 2017, at the time of our visit the store was conducting a store-wide "Summer Blowout Sale!" 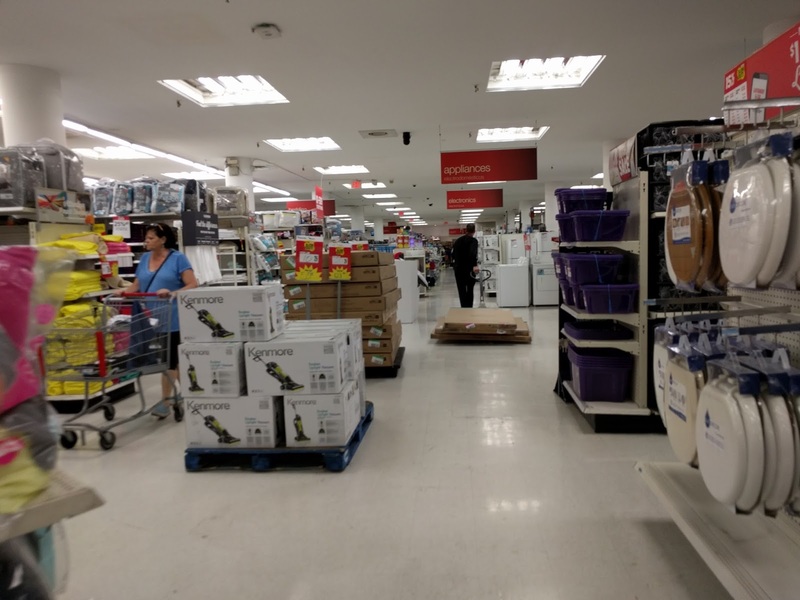 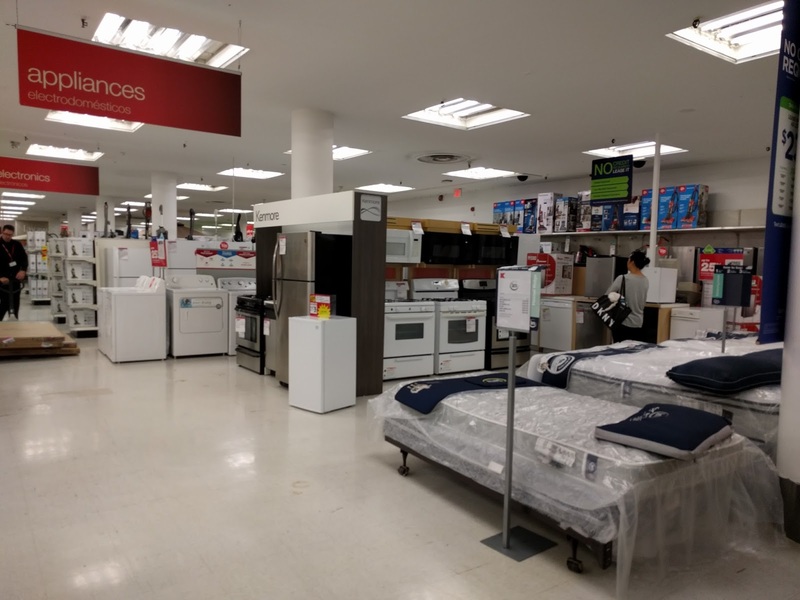 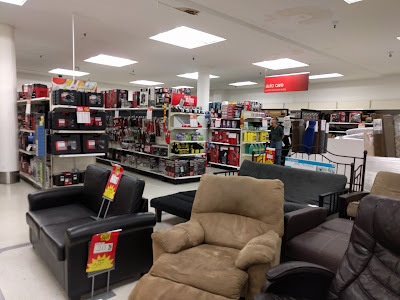 This sale is being done at many Kmart locations and looks similar to a pre-going out of business sale that the liquidation companies conduct. This store is a busy location for Sears Holdings and is located in a high traffic shopping center with Whole Foods. As a very rare issue for a Kmart store, parking is hard to come by in this store's parking lot. 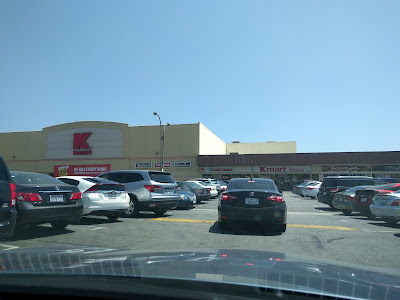 The parking lot is very small and is shared with many other businesses around Kmart, it's not uncommon to not be able to find an available parking spot at all. 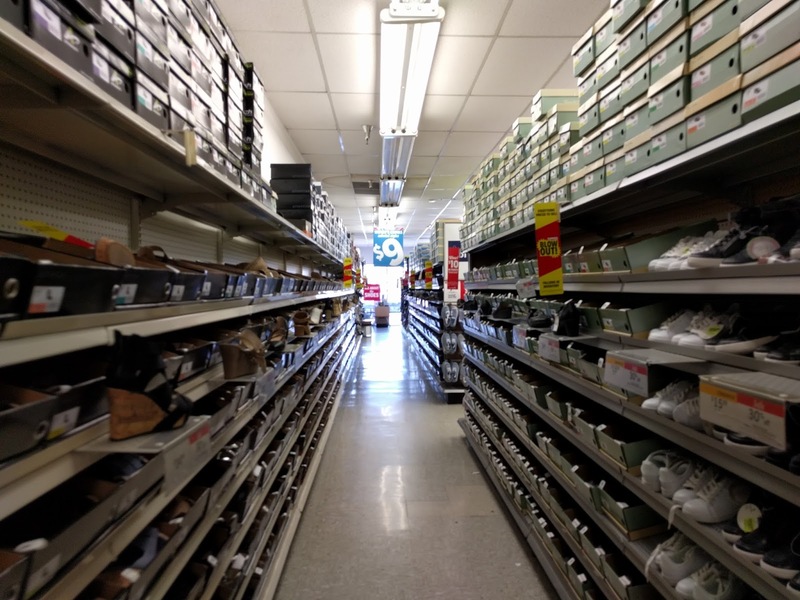 This store has the soft lines departments on the main level including clothing, accessories, jewelry, intimates, and shoes. 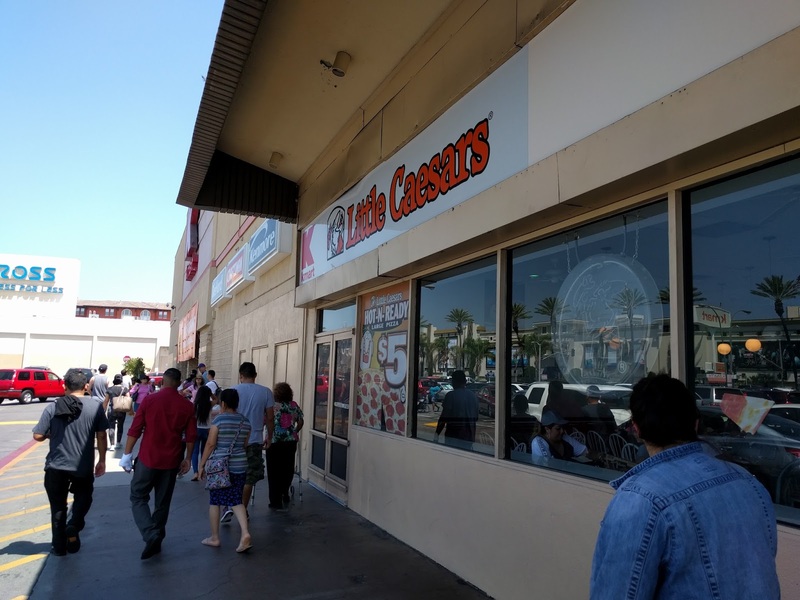 Also the checkout registers and little Caesars are on the main level. Speaking of the shoe department, this store has a very unique shoe area. The shoe department is a separate area of the store, that has it's own store front with exterior sign and entrance door (although it was locked when we visited.) 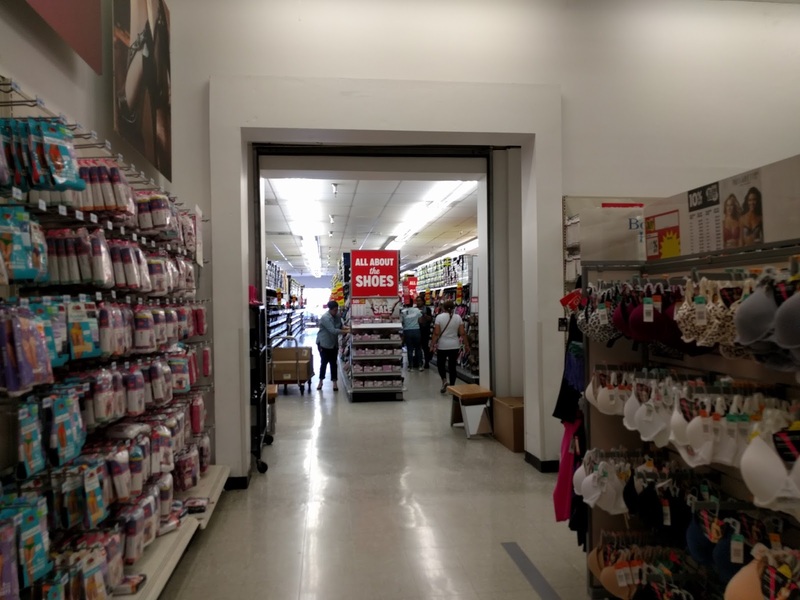 It can be accessed inside the store by a opening in the wall by the intimates department. 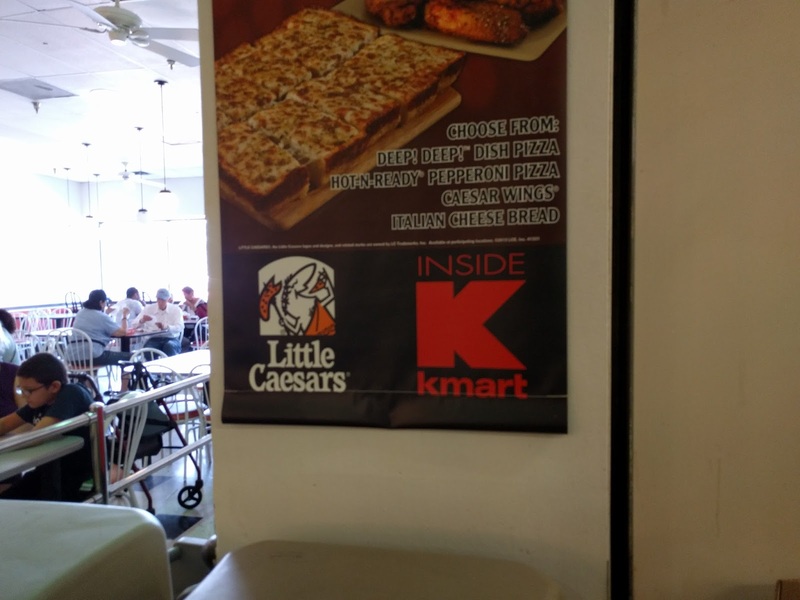 This Kmart has a large Little Caesars Pizza Station Cafe. It has it's own exterior entrance and sign. 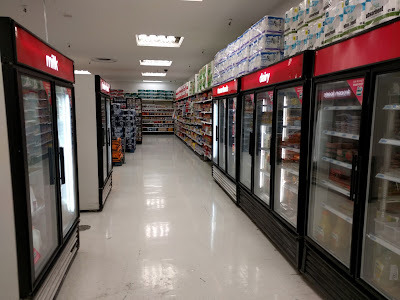 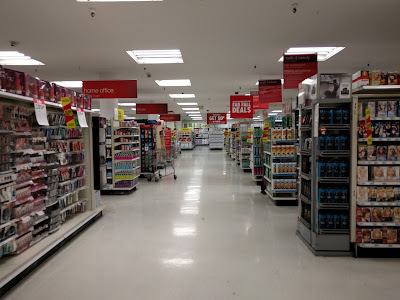 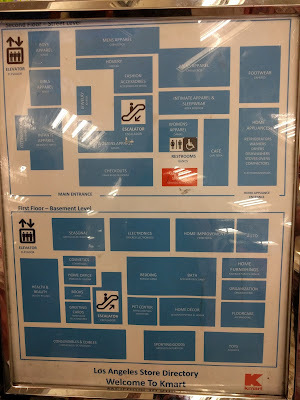 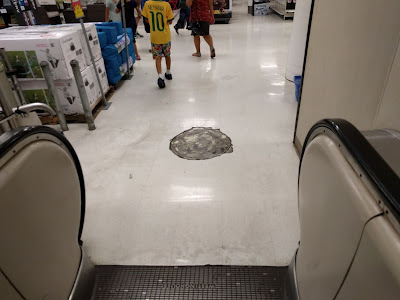 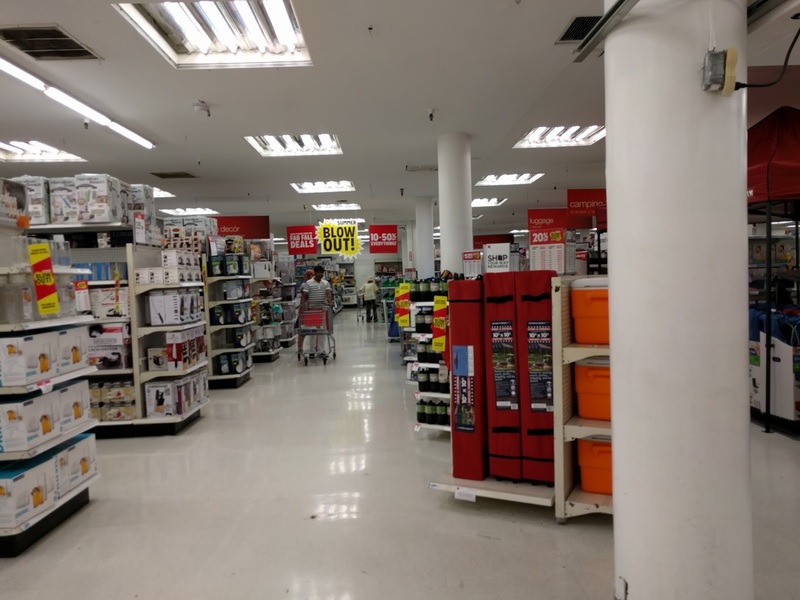 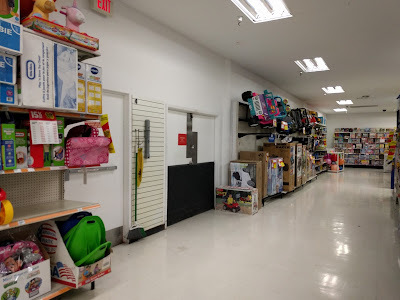 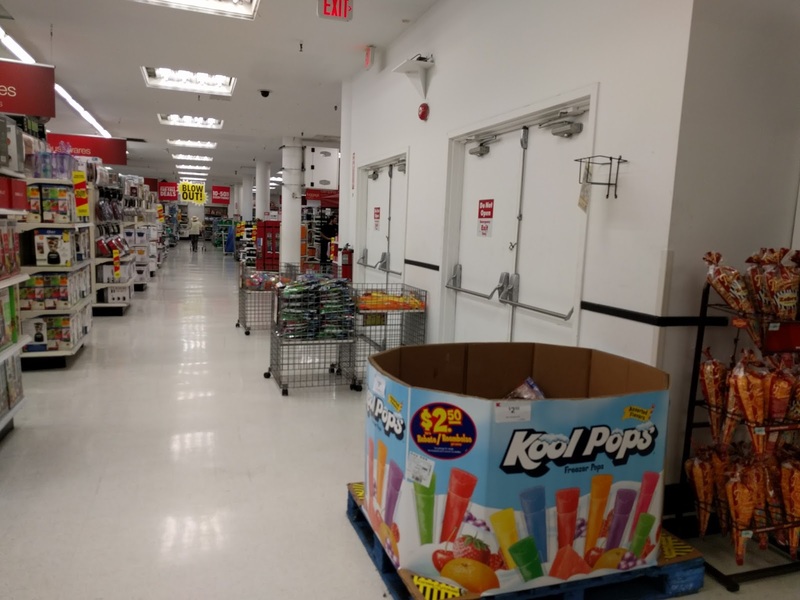 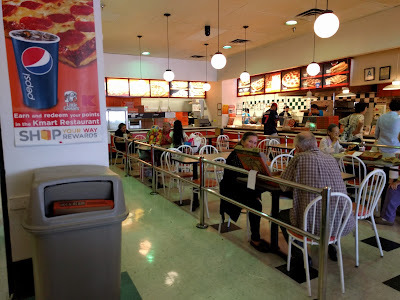 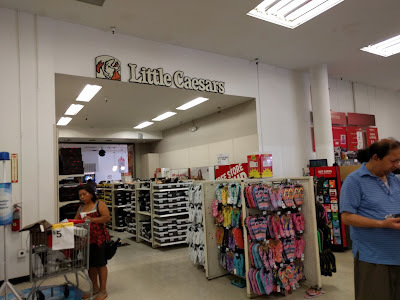 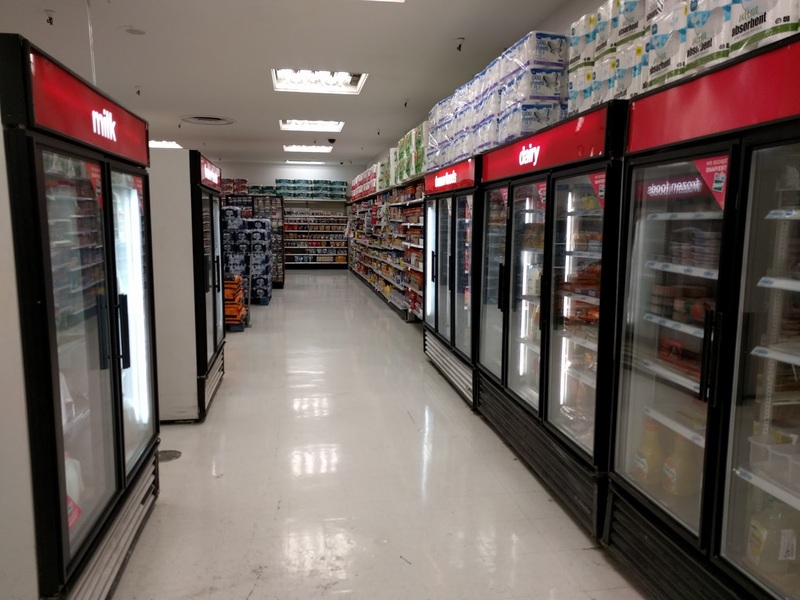 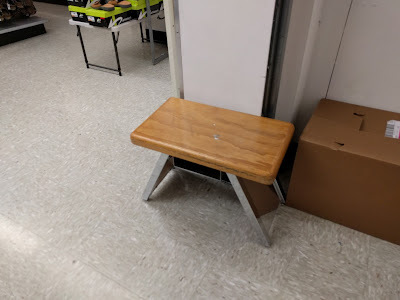 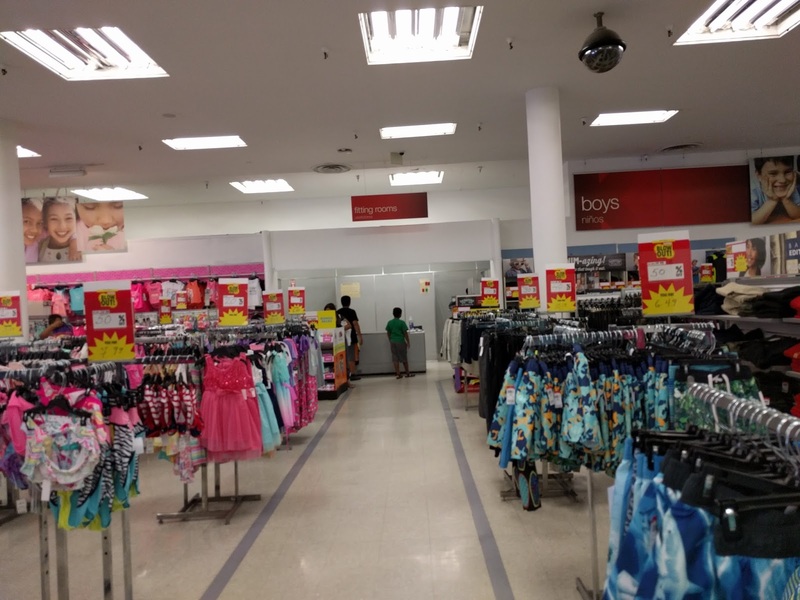 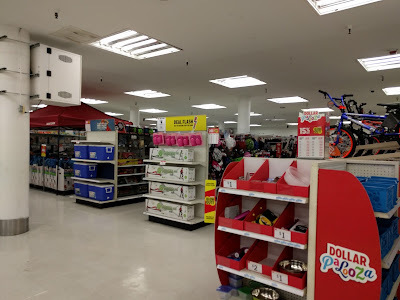 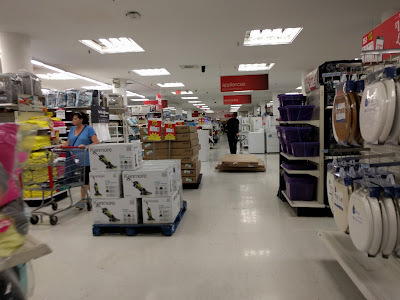 To access it inside Kmart you go down a short hallway by the checkouts and it opens up into a large seating area with a Little Caesars Pizza Station. 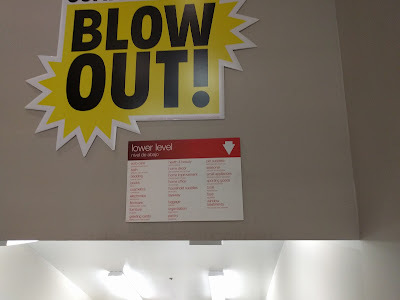 It was pretty bust when we visited the store. Hallway to access the Little Caesars Pizza Station. 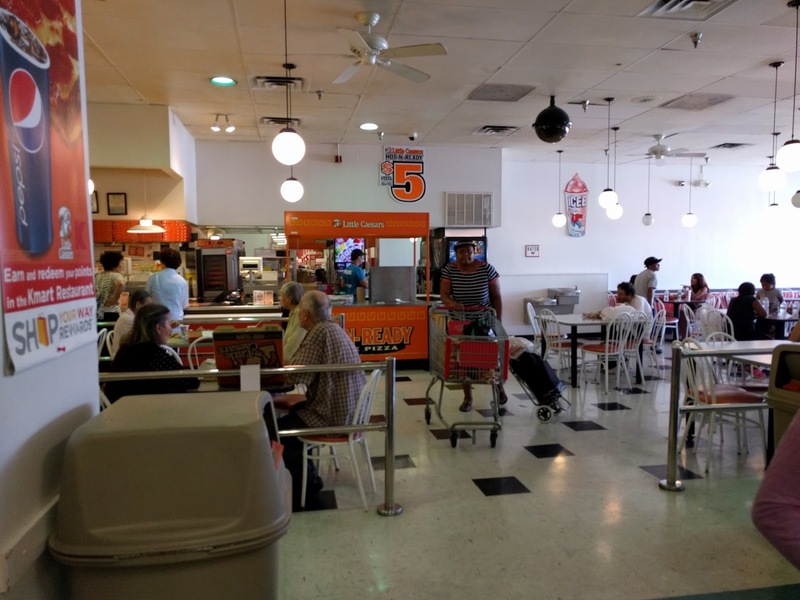 Busy location complete with customer staring at me taking this picture. 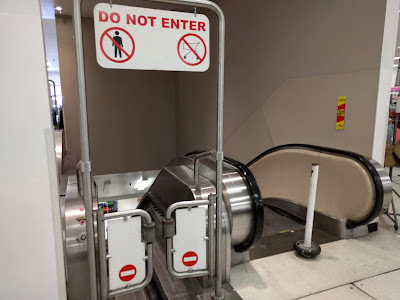 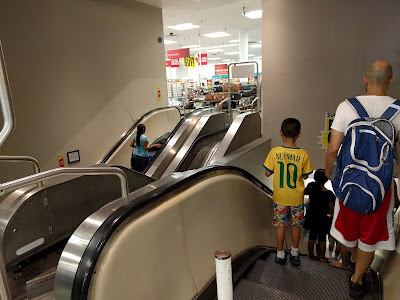 To access the basement level of the store, there are escalators in the middle of the store including a cart escalator next to the people escalator. 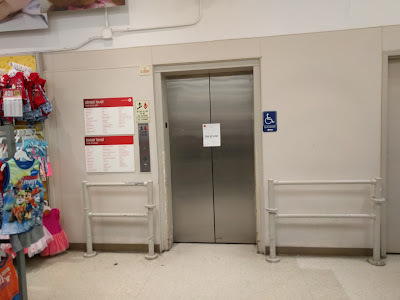 There was also a elevator in the corner of the store, but it was out of order when we visited the store. 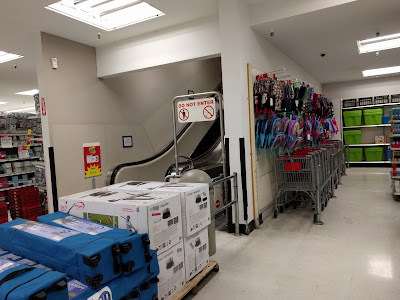 Once on the basement level, the hard lines departments are all there. The layaway counter is also on the basement level. The layaway area looks to have been recently remodeled as it had a newer look. 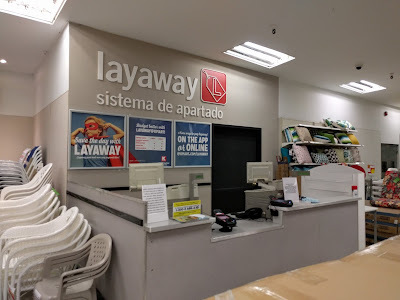 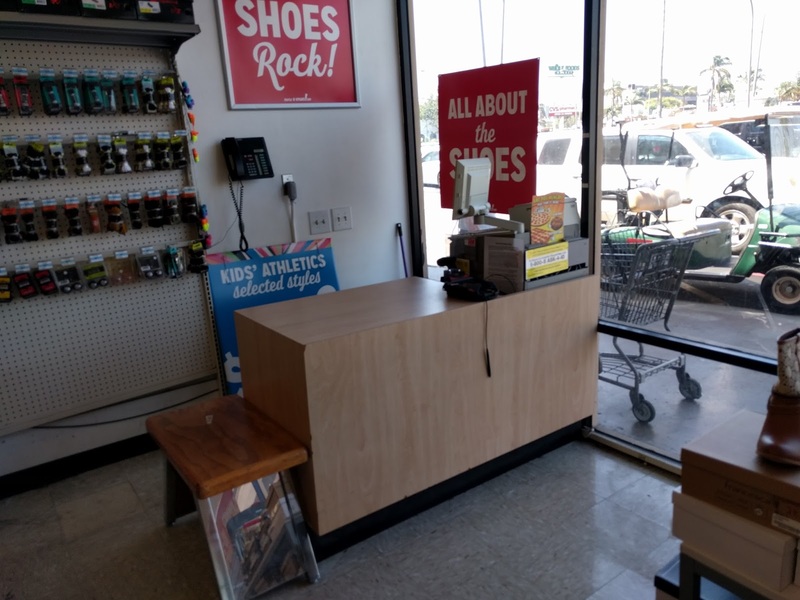 Not sure if this was the case but the current layaway counter could have formerly been the Pharmacy as this store doesn't have one and the current layaway area is right next to the health and beauty aids. 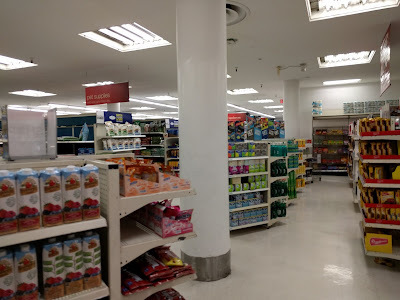 Newer look layaway area, former Pharmacy spot? This store does not have a garden center, auto center, or as stated above a Pharmacy. It does feature a second store entrance on the street side of the store but it is now closed off and doesn't look to have been used in quite a while. 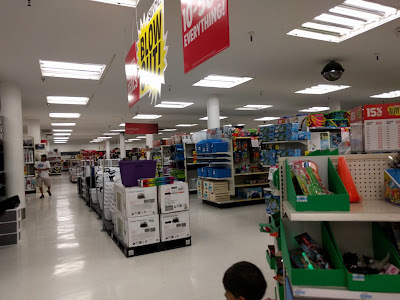 The store has a large amount of registers with several in use when we visited since this is a higher volume store. 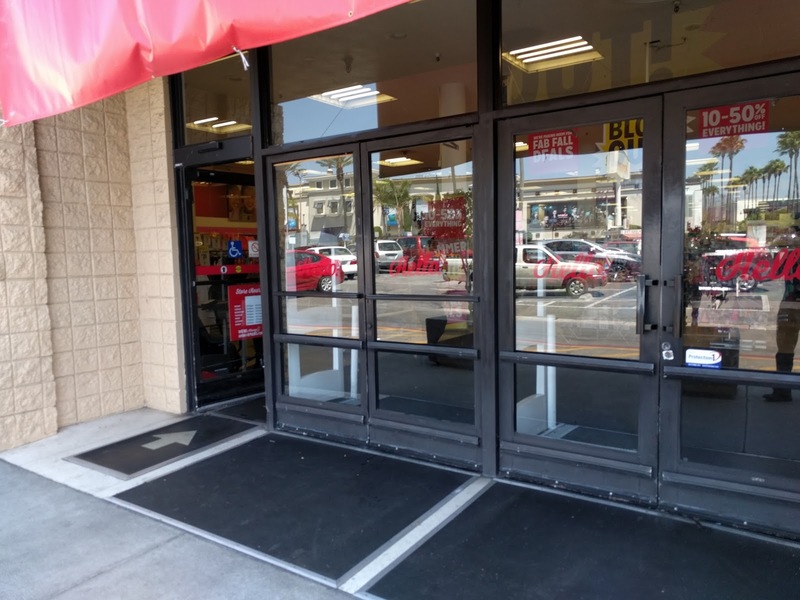 Street side entrance that is no longer used. 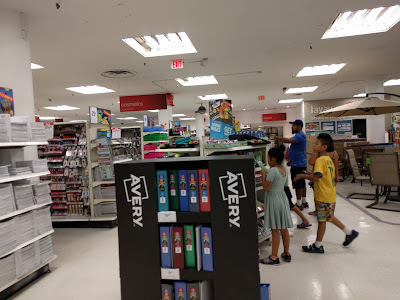 Plenty of registers for this busy store. 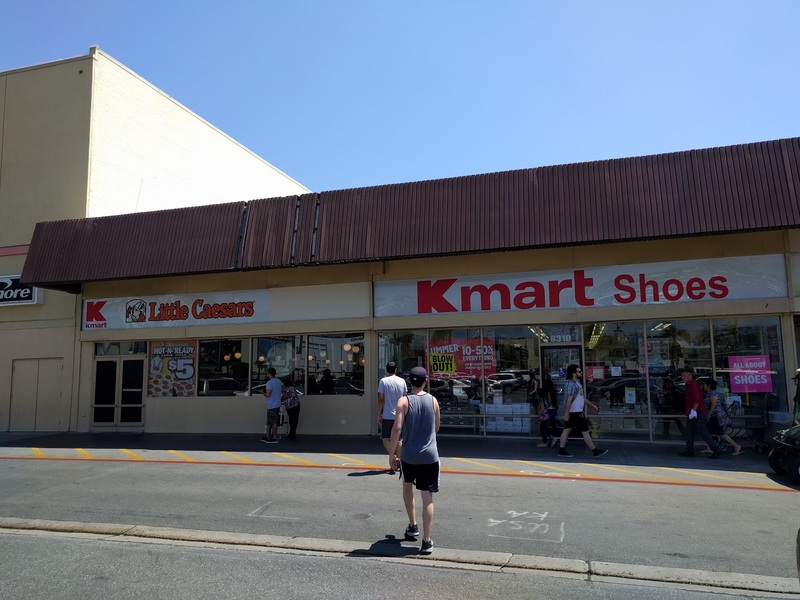 That just about covers this unique and busier Kmart location. If you know of anymore information on this store or its history please leave us a comment and enjoy the rest of the photos below. 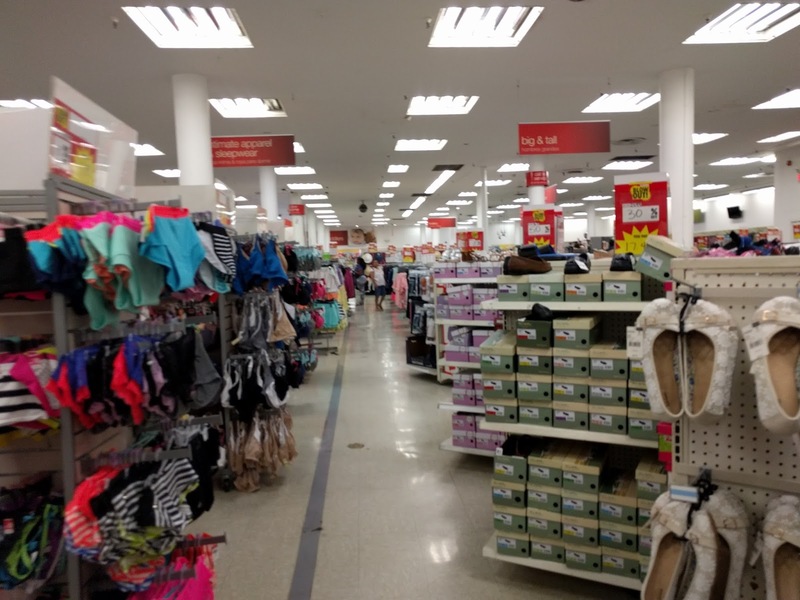 Until next post..Kmart On!